Meet The Packers, Essex's lovable, but most dysfunctional family. Why See Barking In Essex? A foul-mouthed comedy of errors erupts on the stage, as a dysfunctional family are forced to go on the run, when their gangster son Algie is set to be released. The problem? They have something rather awkward to tell him about the spoils of his last robbery. 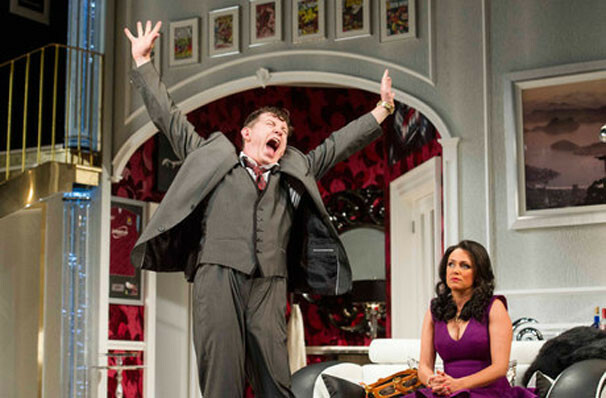 Lee Evans, Sheila Hancock head up the cast as Algie's dim-witted brother Darnley and foul-mouthed matriarch Emmie, respectively. After seven years in prison, Essex's most prolific gangster Algie Packer is looking forward to freedom, and the prospect of his hidden fortune - £3.5 million in cold, hard untraceable cash. However, upon his release, Algie is in for the most unpleasant shock, as it transpires that his ill-gotten gains have been frivolously spent away by his mother and sister-in-law on a champagne lifestyle including world cruises and blue Ferraris. What follows is a chaotic comedy of errors as the family are forced to go on the run from Algie, the police, and a hit man in order to cover up their betrayal. The Packers are just your perfectly average, totally dysfunctional, stereotypically Essex crime family with a BIG problem. Will they succeed in evading justice? Or will their constant squabbling be their undoing? 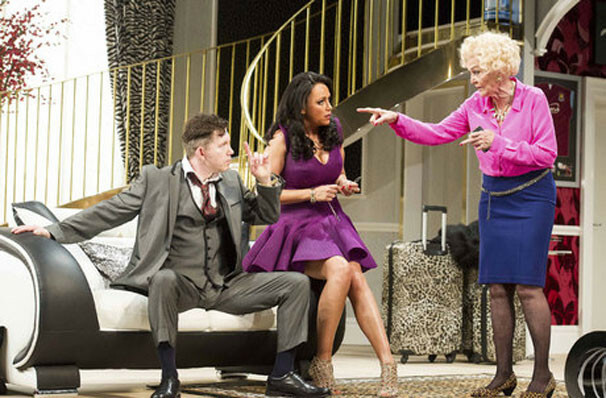 The play received very mixed reviews from critics, with the Telegraph calling it "Wonderfully funny. Imagine a cross between Mike Leigh?s Abigail?s Party and Quentin Tarantino?s Reservoir Dogs." whereas The Guardian was scathing, saying "As a piece of black comedy, Clive Exton's play is neither sufficiently dark nor consistently funny." Keeley Hawes reportedly left the play in December 2013 due to continuous clashes with co-star Sheila Hancock. Hawes' understudy Rachel Marwood took over the role for the short remainder of the run. Sound good to you? 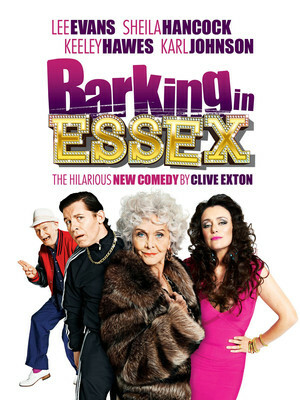 Share this page on social media and let your friends know about Barking In Essex at Wyndhams Theatre. Please note: The term Wyndhams Theatre and/or Barking In Essex as well as all associated graphics, logos, and/or other trademarks, tradenames or copyrights are the property of the Wyndhams Theatre and/or Barking In Essex and are used herein for factual descriptive purposes only. We are in no way associated with or authorized by the Wyndhams Theatre and/or Barking In Essex and neither that entity nor any of its affiliates have licensed or endorsed us to sell tickets, goods and or services in conjunction with their events.